Infinite Roofing Ltd. is committed to offering knowledgeable and professional service which will meet and exceed customer’s expectations while adhering to industry requirements and manufacturer’s specifications. As a roofing contractor with decades of experience in all aspects of the roofing industry, we can handle roof inspections, roof maintenance, roof leak investigations, leak repairs, substantial roof repairs, and entire roof replacement. 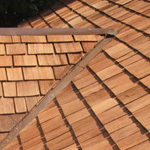 Split or cut cedar roofing material. Asphalt-based laminate-style two-ply roofing system. Baked enamel paint on steel panels. Torch-on 2-ply or rubber single-ply. Detailed reports recognizing issues and recommending solutions. Between replacement work to increase lifetime longevity. Infinite Roofing has always been very professional on each and every job that they have completed for Huber's contracting.Infinite Roofing and their crew have always treated the customers with great respect and keeping them informed of the procedure and tasks at hand.I would recommend Infinite Roofing for all your roofing needs whether it's a repair or new roof. We have used Infinite Roofing on a few projects now. They do excellent work and we found them to be professional, quick and a pleasure to deal with. Pricing is fair and competitive and the end result is that we are very satisfied customers.We look forward to using them again in the future! Andrew and his team of roofers have worked on many of my sites, I have been impressed with there workmanship and punctuality. I am very happy with my roof from Infinite Roofing Ltd. I have a complex roof with a 23 foot high vaulted great room and a 60 foot covered deck. Infinite Roofing Ltd. installed an innovative ridge vent roofing system that compliments the lines of the architecture of the house nicely. I would not hesitate to recommend Infinite Roofing Ltd., no matter how complex the design; plus the prices were very good. 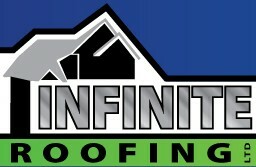 Infinite Roofing Ltd., the only trade to stay on time and on budget on my job. Way to go! Use me as a reference anytime! At Infinite Roofing we know that service comes first and we do our best throughout each project to keep our customers confident that their project will be completed as promised. The team at Infinite Roofing Ltd has over one hundred years of combined experience in new roofing and reroofing, as well as training through the Roofing Association of British Columbia, making our knowledge and skill-set second to none. Our team of ticketed journeymen roofers and apprentices are able to handle any complicated issues that are encountered during the course of your roofing project. Although we are based in Abbotsford, we offer roofing services all over the Lower Mainland. Our company works specifically in the Fraser Valley. From Chilliwack to Surrey, and all the areas in between including Abbotsford, Mission, Aldergrove, Langley, Maple Ridge and Pitt Meadows. We travel as far as Vancouver though, when our roofing services are required. This is usually when a past roofing client has a project out towards Vancouver or when someone we have completed a roof for refers us to someone in the Vancouver area. There is no roofing job that is too small or too large for us to handle. 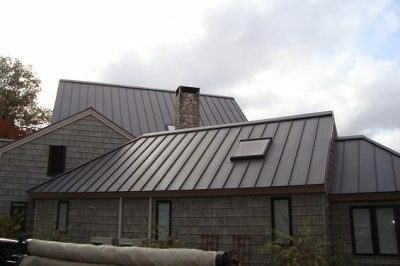 While asphalt laminate shingles make up the majority of roofs we install, we also install metal roofs, cedar shakes and shingles, and different types of flat roofing. Cedar shake roofs are an expensive roofing option not best suited to our climate but are sometimes required in certain areas. 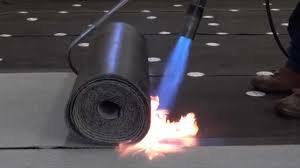 Flat roofing systems including Torch-On and EPDM rubber systems are usually used for commercial buildings. Torch-On roofs are also used on low-slope residential roofs. 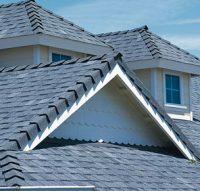 Shingle roofs make up the majority of sloped roofs in the Fraser Valley especially all through Mission, Abbotsford, Chilliwack, Maple Ridge and Langley and are common in all new developments. A shingle roof can be expected to last between twenty and thirty years. Past Langley, in Surrey, Delta, Whiterock and towards Vancouver, cedar roofs and tile roofs become more common.